Q: I’ve seen some great paper ornaments lately. I’d like to make some, but don’t know how! A: Paper ornaments are a hot trend this holiday season. Beyond decorating trees, they are being used as décor items around the home, as accents on wrapped gifts, and as fun, family projects. Of course, there are so many different ornaments to choose from. Luckily, I have a couple of gorgeous, and easy, ones to share. 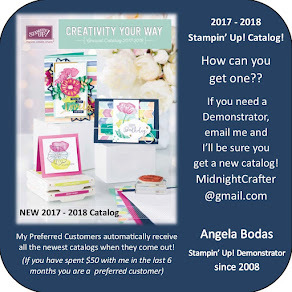 I got these ideas from Stampin’ Success, a magazine that demonstrators receive free from Stampin’ Up! It’s one of the great perks of being a demo! Here are instructions for Paper Bulb Ornaments and Glitter Snowflake Ornaments. Enjoy! •	Pierce holes centered in the end of each strip, about 1/4” from the end, using the Paper-Piercing Tool (#126189) and Stampin’ Pierce Mat (#126199). •	Layer the strips so the top ends are even and so they are stacked in this order: 12”, 11”, 10”, 9”, 8”, 9”, 10”, 11”, 12”. •	Place a Silver 1/8” Mini Brad (#122941) through the pierced holes. Spread prong to close brad and hold layers together. •	Thread the holes at the bottom of the strips through a Silver Mini Brad causing the longer layers to curve out. •	Thread a piece of Linen Thread (#104199) or Baker’s Twine (page 172) through the center of the ornament and slip it up between the strips so it wraps around the Mini Brad. Knot thread around the brad to hold in place and then create a loop to hang the ornament. •	Optional: Cover brads with buttons, Pearl or Rhinestone Jewels, or ribbon. •	Make ornaments of different sizes by starting with a shorter 8" x 3/4" center strip and adding 1/2” for each layer from the center. This super-fast ornament can be made two ways. •	This option allows you to make snowflakes in any size you wish. Use the Snowflake Punch in My Digital Studio. Size Snowflake Punch as large as you want. •	Print to create a template. Cut out template. •	Trace onto the back of Glimmer Paper (available in Silver, Red, and Champaign). •	Cut out by hand. •	Create ornament from a single snowflake or sandwich 2 snowflakes back-to-back so both sides are finished. For a 3-D ornament, score 3 snowflakes in half, fold, and adhere backs together. •	Use Linen Thread (#104199) or Baker’s Twine (page 172) to hang ornament. •	This option is faster since it doesn’t require cutting snowflakes by hand, but it only makes 3 ornament sizes. Die cut Glimmer Paper using Snow Flurry Bigz Die and the Big Shot. •	Create ornament from one or two layers, or make a 3-D ornament as described above. Enjoy making these fun, paper ornaments to give as gifts, to add to wrapped gifts, and to decorate your home. 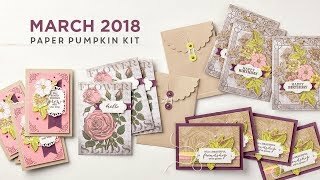 It’s a great project to do with the kids and makes thoughtful and affordable gifts for teachers that kids will be proud to say they helped with. Or make the ornaments with the kids over winter break. It will keep them occupied with something fun, productive, and affordable, plus you’ll have lots of ornaments to give as well as use for decoration!